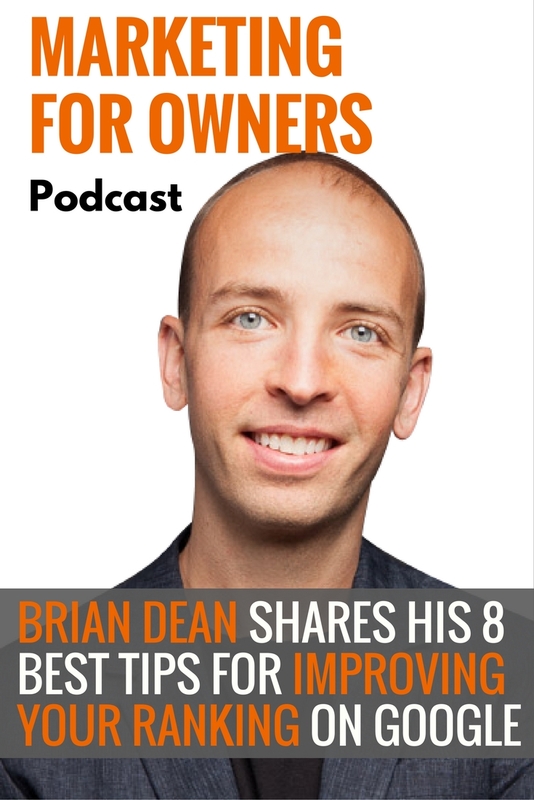 Brian Dean is the master of producing the most awesome of content, which ranks highly on Google and has more traffic than a highway at 5pm on Friday. But rather than being envious, learn from the leading man on how you can get your content working for you. After all, Brian started off just like the rest of us. In 2008 he quit graduate school where he was studying nutrition. He hated it, so instead wanted to get a job in nutrition. That was at the time of great financial crisis, and thus hiring was limited. One day, he had an idea for a business. So he went to the library and borrowed The 4-Hour Workweek by Tim Ferriss. Before that, being an entrepreneur was something that had never occurred to him. Just like any online business, his information product needed traffic in order for it to make money. And when he had no idea of how to get it, he thought he’d give SEO a try. He learned the hard way but soon put all the pieces together. 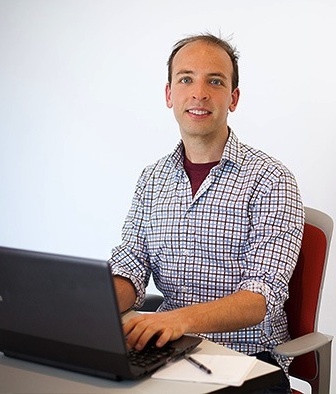 As an SEO consultant, he created Backlinko in order to fill a gap in the market. And now he helps hundreds of thousands of business owners, like you, to get the top spot on Google with a constant flow of free traffic. When Brian first started working as an SEO consultant, he did black hat SEO. That meant that no matter the business, he could get people ranking thanks to artificial links. However, when he switched his affiliate marketing website to white hat marketing, he saw great success. And very quickly, he moved all his clients over to that style of search engine optimization. Now, SEO needs to be far more integrated into the business. This includes the product, marketing, strategy, and customer support. Everyone needs to work towards accomplishing it, in order to work. As a consultant recommending changes, things were unlikely to get implemented and actually work. When you work in the business, you have a much better relationship with everyone. And you can really champion it in order to get it moving forward. White hat SEO has been much more widely adopted due to Google changing its algorithms. Back then, they were easier to manipulate, and that meant the good stuff was getting outranked which meant search results were poor. So Google needed to do something. They removed all sites which were deploying bad SEO tactics, whilst also preventing people good websites from losing rank by foul play from competitors. Black hat tactics have no place in SEO anymore. But back when Brian made the change himself, he found that no-one was actually writing about white hat SEO on the internet. And that’s where Backlinko came in. Before Brian started Backlinko, he knew he wanted to create a course, and had already begun working on it before launching the blog. However, that meant he was making something without actually knowing who his audience were. And therefore, he was assuming what it was they were after. And he confesses, it wasn’t very good as a result. Once he had a community, he could ask them what it was they wanted, and ever since, his courses, and his content, has been a lot better. For Brian, he only ever thought Backlinko would be a side project for him, at best. Although he may have never known how big it would end up being, his intentions were to always create an information product. He also knew from the start that he wanted to rank highly for particular keywords. But to discover which keywords to pick, he first had to work out the position of his blog. Back in 2013, the blogging area was already crowded, particularly for people talking about marketing techniques. If he’d just made his blog another SEO or marketing blog, it wouldn’t have gone anywhere, no matter how good his content was. He needed to have a USP and to know what his blog would specifically be about. As an expert at white hat link building, and with no-one talking about it, that was his niche. From there, he took a look at what keywords people may use to look for his stuff. Searches like ‘How to get backlinks?’ for example. Being focused on a specific area meant he could become ‘the backlink guy’. By focusing on keywords around a topic, he was then able to dominate an area. And then he could move onto his next to conquer. Of course, it may feel like you’re limiting yourself, but people like to learn as much as they can on a topic which interests them. And they especially like to do it when your stuff’s the best. Derrek Halpern calls it “The Divide and Conquer” Technique. Brian admits that he may not be the most knowledgeable guy in the world on SEO, but he does produce the best content on the subject, by far. When you have an existing website, you need to do an audit on the whole thing to make it work. With Brian’s SEO Checklist, he managed to increase traffic to an existing website (proven.com) by over 100%. So, it’s safe to say that it works. First thing is to look at the dead weight on your website. These pages can make or break a website, especially when they’re in Google’s index and they provide no actual value. Google targets website which have a high quantity of low quality and thin content. These are likely to be your archive, tag, and category pages. To get around this, either delete the pages or select for the pages to not be indexed. Another option is to combine these pages into content-rich pages doing the same job. Additionally, when you only have a low number of pages, the link authority for your website is concentrated. Whereas with lots of pages, this authority is watered-down and thinly spread. When you find a broken link on a website (a web address which is no longer valid), you should contact the person in charge of the website. You can then inform that you have a similar resource which they could use. This is then a win-win situation. Not only do you get a link on someone else’s website, but they can carry on providing value to their audience. They may not have known that link was broken, and they haven’t had to scour the internet to find something similar. Using this technique is easier than always having to produce content for guest posts, and Google likes it more. There are tools available which will allow you to find broken links on websites. Brian recommends the brokenlinkchecker.com for a free tool, although it is a bit slow. O for a much faster, and better-working tool, ahrefs.com has price plans available to suit you. But with this technique you cannot expect instant results. Just because you now have a link on another website doesn’t mean your position in Google will immediately improve. Just like going to the gym, it takes hard work and effort to see results. This is especially the case when you’re late to the game and your competitors are ahead of you with their link building. The alternative is to create absolutely amazing content for people to link to. To do that, look at the top ten results on Google for the keyword. You then need to make sure the content you produce on that keyword is better than all of them. It is better to focus your efforts on writing one article which blows everything else out of the water than to produce lots of articles. You will get much better results that way. When you have that article live, your next job is to contact everyone who links to those articles you’ve just bettered. You’re not asking them to remove the link to your competition, but rather to link to yours as well. And if it is better, people will want to do that. Brian doesn’t concentrate his efforts so much on social media shares. These links are short-lived and will drive traffic to your website for a day or so. With backlinks, you can have a consistent and constant flow of people visiting your page. And in the end, Google will notice that. Of course, the ultimate goal is to produce content which is so good that your competitors have to link to you. By not doing that, they’re doing a disservice to their audience. Soon, you’ll have enough gravity that people will start coming to you, rather than you having to hustle for results. Of course, the alternative is to produce multiple pieces of content daily to keep traffic coming. For some websites, this works. But then you only have what Brian calls ‘treadmill content’. That means that as soon as you stop producing content, people stop visiting because they only visit when you have new content. You’re not producing content which stands the test of time. Content should work for you even when you’re not working on it. And to do that, your content needs to be best in class. After all, people love a blog because it’s the best, not because of how often it is updated. It’s easy to feel like you’ll never be able to keep up with Google and its algorithms. After all, Google does make multiple changes to it every day. It’s something that is always going to happen. However, rather than becoming demotivated by what changes every time, focus on what remains constant. The concept which Google uses to rank their content hasn’t really changed. When you produce content which is the best for a keyword, and you’ve optimised the content and let people know it exists, it will work. It worked in 1996, and Brian is sure it will still work in 2017 too. If you want to see examples of content which really are out of this world, then have a look at what Brian Dean produces at Backlinko. They may be some of the longest posts around on the internet, but they are jam-packed full of useful information. And despite their length, they remain easy to read. While you’re there, don’t forget to sign up for his newsletter for exclusive case studies and strategies. That way, you can stay ahead of everyone else. Plus, you need to be on his list to be able to join his next course in November.